Having a treadmill in your home can make it easy for you to hop on and get a good cardio workout as long as it doesn’t turn into another place to throw your clothes and jackets. While there are a lot of options for treadmills, it’s important to find one that will fit in your home. After all, treadmills tend to be a lot taller than most people think when you take into account your height and the machine combined. That’s why we are going to take a look at some of the options for the best low profile treadmills, so that you can find one that will fit directly in your home. Without further ado, let’s take a look at some of the things you need to know and then look into the best options out there on the market from our standpoint. The deck height, or step up, is probably the first thing that you have to consider when it comes to buying a low profile treadmill. You don’t want a treadmill that is going to have you step up that will make your tallest users in the house feel like their head is scrapping the ceiling. Measure your tallest user, add them to the overall deck height, and then account for some extra clearance by adding another 6” or so. Another important thing that you need to look at when you’re shopping for the best treadmill for low ceilings is the running surface. You don’t want something that is too small for you to feel comfortable, but you do want it to fit in the place that you’ve made for it. While a barebones treadmill will definitely save you money, the fact of the matter is that you deserve more bang for your buck. Find treadmill features like cup holders, heart rate monitors, speakers, if it’s foldable, and other features. Find a treadmill that is made of good materials and will last. You don’t want a flimsy piece of junk because it’s cheap. There are numerous videos online that will convince you to get a durable, worthwhile treadmill after seeing someone fall through theirs after they trip. You have to measure out the height between the floor and the ceiling so you know all of the potential space you have to fit a treadmill. However, you also need the next measurement. You don’t want to get a treadmill for someone that is 5’1 when the tallest user is 6’1. You have to purchase a treadmill that will fit in a room with the height of the tallest users plus the deck height, and then with about six inches of clearance to effectively work out. The “foot print”, the overall measurement of the length and width of the treadmill, can require more room than you might think. Measure out how much space is in the room for the equipment and then consider the additional 6” of vertical height you will need on top of your tallest runner so that you can account for your head bobbing while you run. Ceiling height - (deck height + height of the tallest person using the treadmill). If the number is 7 or higher, you should have plenty of room. This would mean that there will be 43.7cm in between the tallest person using the treadmill (when they’re stood on the deck) and the ceiling, which of course, is plenty of room. Right, let's take a look at some of our top picks. 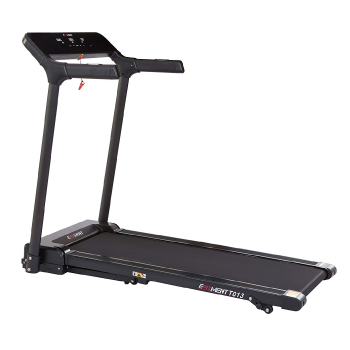 We’re starting off with a really good piece of equipment, the EFITMENT Slimline Low Profile Treadmill is a good choice for the best treadmill for low ceilings because of the deck height, which is only 4.5”. It almost sounds unrealistic, but that’s what you get. 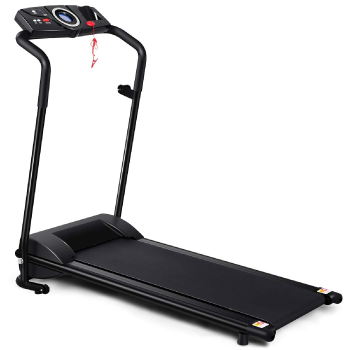 The treadmill is also durable and doesn’t compromise on its users since it can safely accommodate a 220lb person on the treadmill without a problem. Any user will be thrilled to see that this is a modern form of a treadmill that doesn’t cut corners. You get a console that displays your speed, heart rate, distance travelled, and other information so that there are no guessing games. Yet, there is an additional accessory on this treadmill as well, and that is the Bluetooth and speakers. You can easily listen to music while you are running, giving you motivation so that you don’t have to mess with dangling headphones. The machine will give you a workout, too. 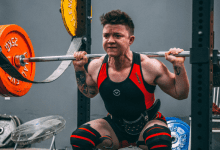 It has a maximum speed of 7.5 mph so unless you are looking to do Olympic trial sprints on the treadmill, you should be able to get in some very good cardio along the way. The treadmill has 9 different training programs built into the programming, so you will definitely be able to get a good speed, distance, or even incline training experience. 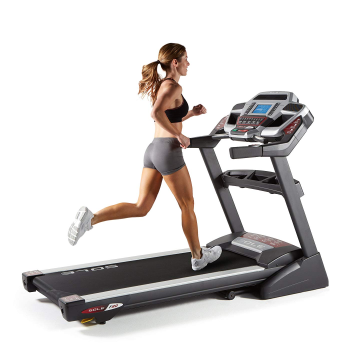 The treadmill may be on the more compact side of sizes, but it will accommodate most users. However, there is the added benefit of giving you shock cushioning throughout the treadmill that will save your joints when you are working out. All of these elements combined with the lower-end price point amount to a very good machine. 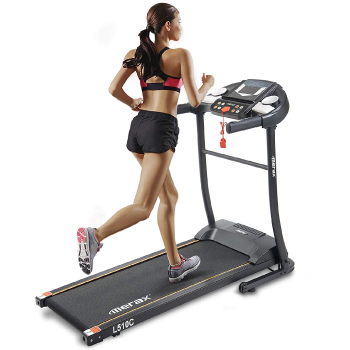 It’s an investment for a runner or someone seeking a good cardio machine, but with so many features it is an easy decision to make for people that want a low profile treadmill that is going to help them out while lasting a long time. 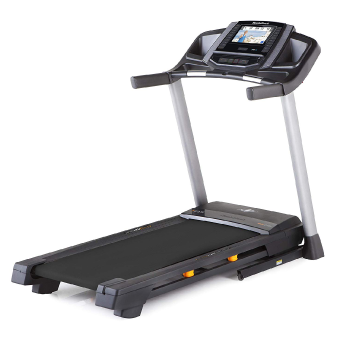 If you’re looking for a low profile treadmill that is on the higher end of the spectrum, then you will love this NordicTrack T 6.5 Series. As one of the bigger names in cardio equipment, this NordicTrack treadmill lives up to the standard set by the earlier models. There are a lot of really great features that go into this treadmill, so let’s get to them. First and foremost, the deck height is 8”. It’s on the medium line of the spectrum for sure. However, that doesn’t mean this piece of equipment isn’t durable or capable of handling an intense workout. People up to 300lbs can use this treadmill comfortably, so even if you are a larger person this will be comfortable for you. Speaking of workouts, you get some serious benefits for buying this treadmill. Most notably, the treadmill comes with a 1-Year iFit Membership that will help guide you through cardio workouts that will challenge you and burn fat. All of this is displayed on the massive 10” color display that is also touch sensitive. It’s about as high tech as you can imagine. The panel does have speakers built into it that you can use alone or with headphones to listen to the iFit exercises or your own music. You’ll definitely be able to get a good workout on this machine because it is rather heavy and durable, so don’t count on making this thing shake like a flimsy little treadmill. It can get up to a speed of 10mph which is more than enough for most people. You can get an incline up to 10% as well, so your workouts will be just as intense as you need them. You can store this treadmill away with ease, too. It folds up most of the way and comes with a lift assist system that makes it easy to set up and pull down when you aren’t using it. All in all, this is a machine that is definitely one of the best low profile treadmills, but it comes at a moderately high cost. If you’re looking to make an investment, though, this is a wise choice in terms of price and the benefits that you get. Another notable entry into great treadmills for low ceilings and basements is the GYMAX Foldable Treadmill. The first thing that you’re going to want to know is the deck height which is 8”, which is middling for low profile treadmills. You don’t have to worry about the storage on this one when you’re finished, though. It easily folds down into a piece that can be put up against the wall or slid into a less-traveled area. The console on the treadmill is pretty good as well. It has a neat round design and shows you all the major information like calories burned, speed, time on the workout, and distance travelled. Since this treadmill is programmed with a dozen different exercise regimens, you’ll be able to do a lot of different workouts on this machine. This machine is pretty good in terms of its overall durability. 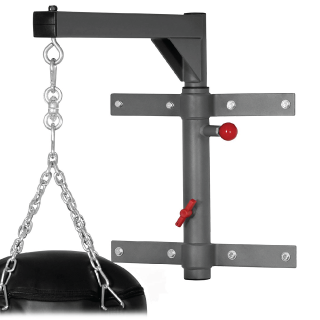 It’s made out of a steel frame so you can count on being able to hold every ounce of that 220lb weight limit. That should fit most people, but you definitely want to pay attention to other people that may be using the machine. One of the things that are really nice to see on this treadmill is the safety key. When you work out in a gym, someone will usually see if you topple over on the treadmill, but that kind of support doesn’t exist at home. When that safety key slips off of its anchor spot, the machine stops. It’s a level of safety that is important when you’re working out alone just in case something bad happens. All in all, this is a pretty good low profile treadmill that you will enjoy using as you get it up to the top speed of 6.5 mph. It’s a moderately priced piece of equipment that gives you quiet running and plenty of features that you can use to get a great workout. If you’re looking for a high end investment into a treadmill for low ceilings, then you’ve found it. Since it’s the first thing that you’re going to see, let’s talk the price. It’s definitely the highest price point on our list, so be prepared to make a serious investment if you’re going to buy it. That being said, this thing is loaded with features that will make the investment well worth every penny that you spend. For starters, this machine is highly durable and made from very touch steel and plastics. The package is going to have you cursing the entire time because it weighs about 265lbs, but can hold a person that weighs 375lbs. We cannot emphasize how powerful this machine can be. You will be able to crank this thing up to 12mph if you feel like it, giving you a great way to do sprints on a machine inside. The deck of this is 8” off the ground, which is surprisingly low for such a large piece of equipment, and it does come with the benefit of having shock cushioning built into the machine deck. You won’t feel like you are pounding your joints on the ground when you are running on this machine. Best of all, the machine’s “Whisper Deck” will make sure your neighbors or other family members don’t get sick of the sound of you running because it muffles the sound a fair amount. Another thing to keep in mind with this treadmill is the great monitor that comes with it. This LCD display will show you the exercise program you’re using, speed, heart rate, distance, calories burned, and more. 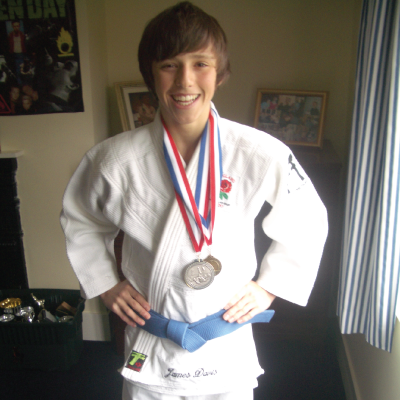 It’s an incredible way of having live updates on your exercise progress. That’s not all you get with this machine, though. You get a lot of small accessories that will make your exercise experience better. You have fans to keep you cool, an MP3 connection for your music, a chest strap heart monitor, and more. Better still, this treadmill’s company puts its money where their money where their mouth is and gives manufacturers warranties for the frame, motor, and desk that are lifetime as well as five years on the electronics. Overall, this thing is a beast but that doesn’t mean that it is great for everyone. You have to really take some time and consider if the investment is going to be a good thing for you. However, there are a lot of things that make this a great purchase if you are looking for a really high-end piece of equipment. Another great option that you can look into in terms of the best low profile treadmills comes from Merax. This folding treadmill is all about saving you space and giving you a chance to keep the equipment out of your way. It has a very low deck height of just 4.5”, so you can count on this piece being able to fit in just about any regular-sized room. The fact that the deck height is so low does tell you something about this machine- it’s not built for heavy duty people. 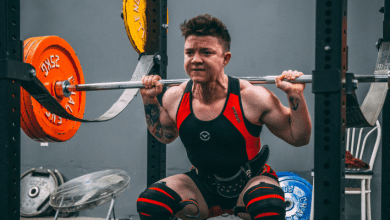 While this machine is stable to use, it does have a maximum weight of just 240lbs, and you don’t want to push it beyond that weight limit for sure. That doesn’t mean the treadmill is weak by any standards. It can get you running at 6mph at its max speed and it does have a low-noise vacuum motor that will make certain you are able to use treadmill and not annoy everyone in the house. The machine comes with a nice LED display that cycles through the calories burned, distance, speed, and heart rate, giving you a nice overview of what’s going on. In an unusual move, the makers put handles on this machine that have been utilized to measure your heart rate but also have buttons on them so you can control your speed or end the workout. It’s a pretty nifty feature that you don’t really see all that much. You do get some nice accessories with this treadmill, too. There is a cup holder, built-in MP3 station for music, and an emergency stop key that you can wear on your clothes that will stop the machine if you take a tumble. All in all, this is a pretty decent entry into the list of low profile treadmills for a lot of reasons. It provides you with many different accessories while giving you a sturdy place to get some cardio work done. It’s time to take a look at the best options on the market in terms of the treadmills you want in your basement or other room with low ceilings. After a lot of deliberation, it is clear that we have a treadmill that is great on a budget as well as an overall top treadmill that should be bought for certain. The Efitment Slim Treadmill is a fantastic option for a whole lot of reasons. First and foremost, if you’re looking for a treadmill that you can buy on a budget, this is the one for you. For starters, this isn’t the cheapest treadmill, but it combines high concept and quality on a basic machine that lowers cost to the sweet spot. It includes the ability to hold someone that is up to 220lbs while giving you the ability to run at a respectable 7.5 mph. You have a lot of cushioning that will help keep your joints in good shape while you’re using it, too. The machine comes loaded with accessories that will help you listen to music and check your speed, time, and calories burned. With a low profile of only 4.5” of deck height, this will certainly fit anywhere that you need it to while giving you an all-around great experience. The best treadmill for low ceilings is undoubtedly the NordicTrack T 6.5 Series. The NordicTrack name is well-known to most cardio enthusiasts and this is the latest piece of equipment that lives up to their high standards. This is a machine that is somewhat budget-friendly, offering you a lot of features for a price that is modest but not a massive investment. The sheet number of benefits that you get with this treadmill is fantastic. It comes with the ability to hold 300lbs and can reach a max speed of 10mph. This thing can accommodate just about anyone out there. The treadmill comes with a nice LED screen that is a great way to show you the free 1-year subscription to the iFit series of exercises that comes with the purchase. As always, we respect a machine that is made by company that takes its products seriously. You’ll get a nice warranty on this treadmill that includes on year of parts and labor. The bottom line is that you get a lot for your money. So, you've got your treadmill up and ready to go - let's check out this video by running legend Mo Farah, on how to get the most out of your new machine. All in all, the greatest low profile treadmills are listed here and we hope that you learned something new and important here today. When you take into account the benefits you need from a treadmill, the NordicTrack definitely stands out. As always, thank you for taking the time to read, and feel free to drop us a line to let us know your thoughts!